This screening is part of Love To Nippon, a community-wide tribute in Los Angeles for loved-ones lost, and for those still suffering from the March 11 catastrophes. A Q&A session with Regge Life, director and producer of the documentary, will be held after the screening. A networking reception will be held after the Q&A session. No RSVP necessary for March 11's screening. Co-hosted by The Japan Foundation, Los Angeles and The Consulate General of Japan in Los Angeles. 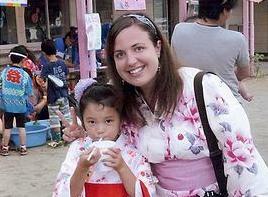 Taylor Anderson was an extraordinary American who dedicated herself to teaching Japanese children, living her dream right up to the events of March 11, 2011. Taylor was the first confirmed American casualty of the Great East Japan Earthquake and Tsunami. As part of the Japan Exchange and Teaching (JET) Programme, Taylor spent two and a half years teaching English to kindergarten, lower school and junior high school students in the coastal city of Ishinomaki of Miyagi Prefecture. She was last seen helping and assuring her students after the disaster. Join us to commemorate the 4th anniversary of the Great East Japan Earthquake and Tsunami, and to witness Taylor's life as she shared her passion with fellow young Americans living in Japan. Admission is free for both screenings. Seats are limited and will be available on first come, first served basis.